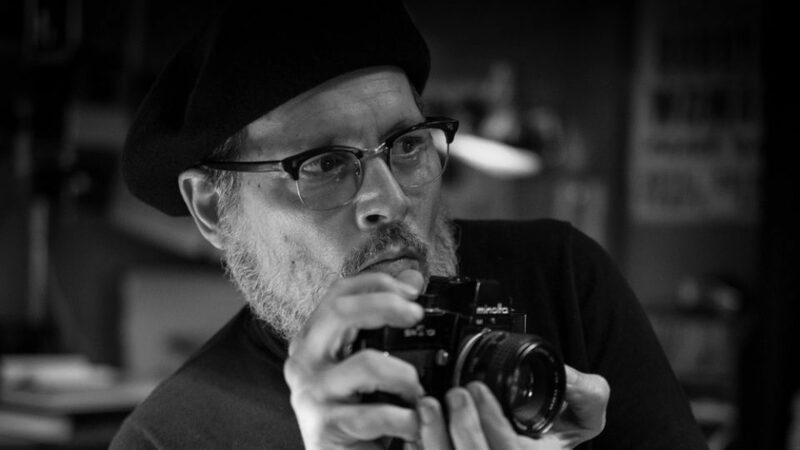 Principal Photography has begun on Minamata, directed by filmmaker, writer, and acclaimed artist Andrew Levitas and starring three-time Academy Award nominee and Golden Globe winner Johnny Depp as celebrated war photographer W. Eugene Smith. Depp is unrecognizable under the heavy layers of make-up and masks which bulk him up to look like Smith. Bill Nighy (The Kindness of Strangers, Pirates of the Caribbean: Dead Man’s Chest) has joined the cast of Minamata which will co-star Minami (Vision), acclaimed actor Hiroyuki Sanada (Avengers: Endgame, Westworld, Mr. Holmes, The Twilight Samurai), Tadanobu Asano (Silence, The Outsider, Thor, Midway), Ryo Kase (Letters from Iwo Jima, Restless, Silence, Like Someone in Love), and Jun Kunimura (Kill Bill: Vol 1 and 2, Midway). The famed Yoko Narahashi (Earthquake Bird, Unbroken) is the casting director on the film which is currently being filmed in locations in Japan, Serbia, and Montenegro. Developed by Depp’s production entity Infinitum Nihil, Depp will also produce along with Infinitum Nihil’s Sam Sarkar, Levitas under his Metalwork Pictures banner and Academy Award nominee Gabrielle Tana (The White Crow, Philomena). Jason Forman, Stephen Deuters, Peter Watson, Phil Hunt, Compton Ross, Gabrielle Stewart, Stephen Spence, Peter Touche, Norman Merry and Peter Hampden will executive produce. Heads of department include César Award nominated cinematographer Benoit Delhomme (At Eternity’s Gate, The Theory of Everything, The Boy in the Striped Pajamas), production designer Tom Foden (Mirror Mirror, The Village, One Hour Photo) and line and executive producer Kevan Van Thompson (JoJo Rabbit).